For use with M4, M16 and AR15 rifles. Includes molded plastic sheath with tension clip. 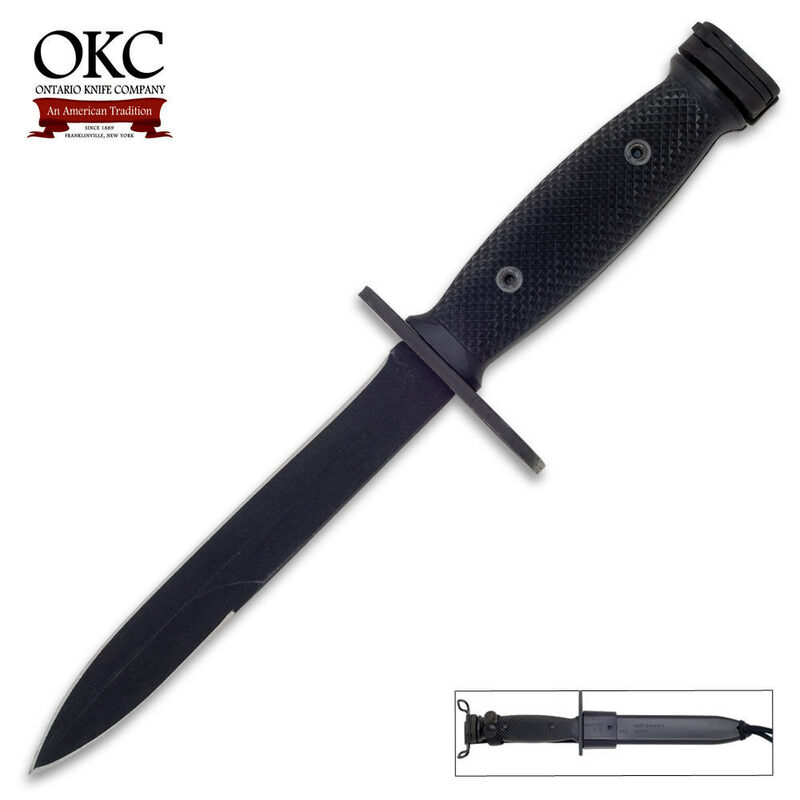 Equipped with black phosphate coated, spear point, fixed blades. Used by US Military soldiers for over 50 years. Made in the USA.